Over the past decade, businesses are increasingly demanding for flexibility, agility and scalability to meet their evolving business needs with a compulsive need for a faster and efficient delivery of software. This is where Microservices comes into the IT landscape. When Microservices & NoOps were first introduced, experts had doubts regarding their complexity and the maturity that is required to power the modern applications. Today, Microservices Architecture is the common practice. “For anyone trying to be agile while delivering the applications quickly and intelligently, Microservices are the way to go,” affirms Gaurav Singh, CEO at Parkar Consulting. The architects at Parkar Consulting believe that large, mission-critical applications need to be iterated and not reinvented and a microservice based approach reduces the risk and permits greater attention to small concerns without negatively impacting the whole architecture. Microservices combined with containers and tools like Terraform offers a plethora of benefits such as scalability where function driven computing makes it much easier to scale computing resources to meet the needs of the application, access on-demand computing and time-to-market where if one is a developer, being able to quickly have the right resources one needs to get the software ready is of significant importance. Additionally, applications running on microservice architecture can utilize unlimited computing resources. Despite the Microservices promises of speed and scalability, enterprises still encounter several barriers like legacy infrastructure, monolithic architectures, lack of tool knowledge and conventional systems that make the adoption and implementation an arduous task. Facing similar challenges was a leading DNS provider with offices geographically dispersed over 30 locations, had a legacy infrastructure and architecture that over time had too many interdependent modules and disparate technology stack. Trying to stay abreast of trending technologies, the introduction of any new features or migration of their existing stack to a function-driven architecture was complex and risky. Parkar Consulting, headquartered in Illinois, stepped forward with its robust and reliable engineering framework to completely modernize their applications using Microservices, containerization and AIOps to reduce IT complexity and increase uptime & revenue. Along with an integrated framework on Microservices, the team has also adopted an integrated testing framework called TEAL with runbook automation and effective monitoring. For Enterprises experimenting with DevOps, TEAL can take it to the next level as it reduces the feedback loops at every step. The defect ratio and the time to market decreased dramatically by 400 percent for one of our clients. Test coverage increased to 95 percent within six months by automating almost 90 percent of manual test cases with cost savings of greater than 80 percent by automation. 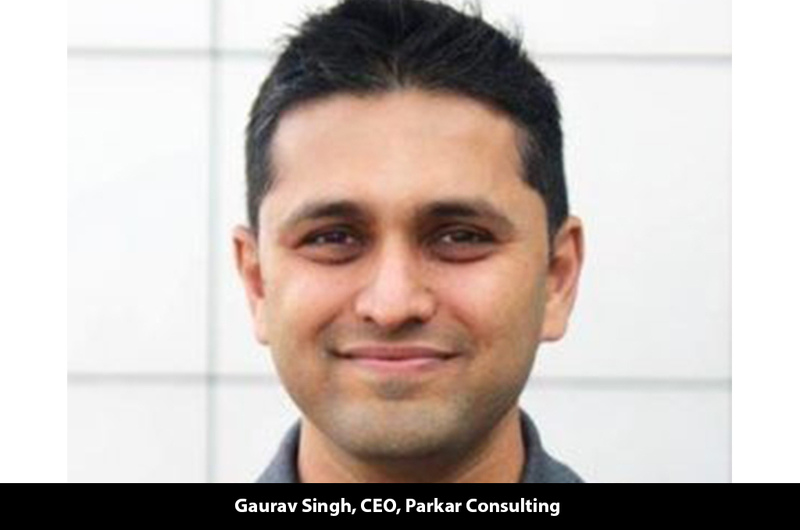 —- Proudly reveals Gaurav Singh, a veteran in this domain and the CEO at Parkar Consulting. Delving deeper into the offering, TEAL, is a comprehensive and extensible Test Automation product that is built upon technologies like TestNG, Selenium Web driver, Rest Assured, Core Java and the likes. With a pluggable design, the feature-rich solution offers configurable reporting and logging support for auditing and debugging purposes. It is highly scalable as it has been engineered around Modular and layered architecture. Founded in 2015 with the zeal to revolutionize the way great software is built, Parkar Consulting offers an expansive portfolio of offerings; business strategy, data engineering, product engineering, digital reinvention and software asset management. The company has worked with several Fortune 100 companies across a broad spectrum of industry verticals especially in the BFSI, healthcare and retail sector. With a proven track record, the company was approached by an international client in the telecom domain who was seeking to track, predict, and understand the real-time status and risk of any project ranging from large-scale IT or business transformations and integrations, to complex projects. In addition to this, the client required focused guidance for improving the likelihood of success at all stages of the project lifecycle. Perfectly poised to meet and exceed these requirements, the company leveraged a powerful multi-variant algorithm to benchmark against an influx of data from a myriad of successfully completed projects and provided specific actions and recommendations for attaining the level of control needed to meet the project’s delivery time, cost, and quality goals. Without eliminating any of the traditional management tools and having combined Parkar Consulting’s advanced technologies with it, predictive analytics were performed by the technically adept team to assist the client avert challenges not only with a project, but also entire programs or portfolios of projects. Achieving high levels of customer satisfaction, Parkar Consulting was approached by another client with operations in 25 countries. The client desired to build a centralized and scalable data lake solution to understand how and where to connect people, places and patterns. Gaurav explains to us how the demands were reached. As the IT landscape continues to transform with various advancing technologies, the team is concentrating on continuing to design and develop high standards of excellence and lead its research into next-generation technologies like Artificial Intelligence and Machine Learning to architect solutions to solve the most complex problems and transform the core Industries like BFSI, Healthcare and Retail. Empowering its customers, the company has geared itself for the future with its perfect blend of skill, cutting-edge technologies and accumulated business acumen. At Parkar Consulting, we are guided by the principle of defining our karmic culture and building a new paradigm for our clients across the world into their transformational journey. Our unwavering commitments to always stay ahead of the engineering curve and architect the new things to better serve our clients, people and the communities with our Parkar-Pays-It-Forwards initiative.